Christmas is here and snow is falling! 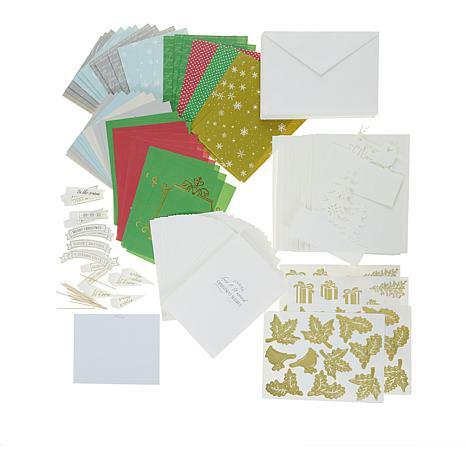 With a wide variety of beautiful designs, embellishment layers, and elegant prints to choose from, you'll be able to create beautiful 3D layered scene cards for your holiday greetings. Send a piece of art this holiday season with a little help from Anna Griffin. These cards are so beautiful and elegant! I made several of them for my co-workers. They couldn't believe that I had made them! Lot's of compliments! I really enjoyed putting them together and seeing the end result! I bought another pack of them to make next year! 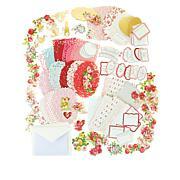 I purchased this card kit to occupy my elderly mother-in-law who is very apprehensive about craft. Once she completed one card she was hooked. 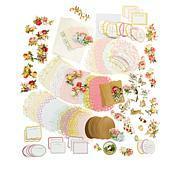 She was pleasantly surprised by the beauty and ease of constructing the cards. She cant wait to construct more. I decided to take a chance on this item, hoping that the problems in the previous Layered Scenes kit had been remedied in this one, which was indeed the case. Personally, I don't find the punching out to be terribly tedious, and can easily punch out two identical layers at a time. I always cut off the little paper nibs that remain on punch-out items, but fortunately, these have relatively few. Also, a Tool 'n One is great for removal of small scraps, though no doubt a pencil would work, too. 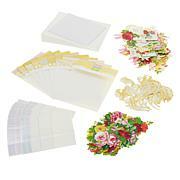 This kit makes wonderful 3D scenes making your cards unique and amazing. I love this kit. I have the other layered card kit, and they are just beautiful. I know when I send them , people will have not received anything like them before. they are a little time consuming, but on a snowy afternoon, I just sit and punch all my pieces out, put them together, and get them ready to make. I love them.